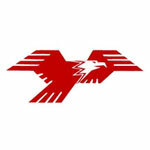 November 2010 – NWC-Sports.com | The Official Site of the Northwest Conference for nwc news, nwc scores and more. LCC State Football Semifinal Match-up and Site Announced. On Saturday, November 6, 2010 Ada High School hosted the annual Northwest Conference Scholastic Quiz Bowl. This event pits teams of four students from one school against four from another as they attempt to answer a series of academic questions involving a wide variety of subjects. Ada won the varsity competition with a perfect 9-0 record. Crestview finished second at 8-1. In the junior varsity competition, all schools competed except Spencerville. Lima Central Catholic won with an 8-0 record and Crestview again finished second at 7-1. Ends–Cheatham Norrils,Tol. St. Johns, 6-0, 187, sr.; Steve Slocum, Perrysburg, 6-1, 185, soph. ; Greg Brown, Fremont Ross, 5-11, 190, sr. Linemen–Chris Reaper, Tol. Whitmer, 6-4, 230, sr.; Jack Miller, Tol. St. Johns, 6-4, 270, sr; Ray Okdie, Sylvania Southview, 6-4, 325, sr.; Andy Kujawa, Whitehouse Anthony Wayne, 6-2, 230, sr.; Adam Miranda, Fremont Ross, 6-2, 215, sr. Backs–Jody Webb, Tol. Whitmer, 5-7, 160, jr.; Nate White, Tol. St. Johns, 6-1, 196, sr.; Tylor Trautwein, Fremont Ross, 6-0, 200, sr. Quarterback–Brogan, Roback, Tol. St. Johns, 6-4, 163, soph. ; Kicker–Brandon Smith, Tol. St. Johns, 5-11, 183, jr.
Linemen–Chris Wormley, Tol. Whitmer, 6-6, 250, jr.; Kenny Hayes, Tol. Whitmer, 6-5, 245, jr.; Micah Carter, Perrysburg, 5-9, 235, jr.; Jared Walker, Fremont Ross, 5-11, 195, jr. Linebackers–Kent Kern, Tol. St. Johns, 6-1, 215, jr.; Jake Pennese, Tol. St. Johns, 6-0, 220, jr.; Jamar Ridley, Tol. Whitmer, 5-11, 225, jr.; D.J. Pullom, Findlay, 6-2, 188, jr. Backs–Mark Meyers, Tol. Whitmer, 6-1, 175, jr.; Allen Gant, Sylvania Southview, 6-2, 208, jr.; Dashon Bates, Lima Senior, 6-1, 185, sr.; De’Nard Pinckney, Sylvania Southview, 6-2, 195, sr. Punter–Joseph Davidson, Findlay, 6-6, 175, soph. Offensive player of the year: Cheatham Norrils, Tol. St. Johns. Defensive player of the year: Chris Wormley, Tol. Whitmer. Lineman of the year: Jack Miller, Tol. St. Johns. Coach of the year: Doug Pearson, Tol. St. Johns. Ends–Skylar Reffner, Fremont Ross, 6-2, 170, jr.; Dylan Bunk, Findlay, 5-11, 175, jr. Linemen–Nick Brunner, Tol. St. Johns, 6-5, 260, jr.; Jake Eckel, Perrysburg, 6-2, 230, sr.; Storm Norton, Tol. Whitmer, 6-7, 240, jr.; Eric Blume, 6-2, 225, sr.; Joey Gajewicz, Sylvania Southview, 6-0, 292, sr. Backs–Tre Sterritt, Tol. Whitmer, 5-11, 170, soph. ; Keithie Lasenby, Lima Senior, 5-8, 185, jr.; Marvin Owens, Marion Harding, 5-9, 165, sr. . Quarterback–Matt Slocum, Perrysburg, 6-1, 185, sr.; Matt Spragg, Findlay, 6-3, 225, sr. Kicker–Jared Kenczewicz, Tol. Whitmer, 6-1, 165, sr.
Linemen–Andrew Maciolek, Tol. Whitmer, 6-1, 240, sr.; Miles Ashleman, Tol. St. Johns, 6-2, 242, jr.; Kenny Reau, Sylvania Southview 6-0, 230, sr.; Tayo Osinowo, Whitehouse Anthony Wayne, 5-9, 185, sr. Linebackers–Mike Gross, Sylvania Southview, 5-11, 185, jr.; Mike Bodi, Tol. Whitmer, 6-2, 210, jr.; Isaiah Stinson, Lima Senior, 6-2, 215, jr.; Gene Rucker, Marion Harding, 6-0, 205, sr. Backs–Alex Henry, Findlay, 5-11, 181, sr.; Drew Starks, Fremont Ross, 5-10, 140, soph. Punter–Steve Pavelko, Perrysburg, 6-1, 180, sr.
Zach Grohowski, Whitehouse Anthony Wayne; Matt Green, Whitehouse Anthony Wayne; Alex Bridges, Whitehouse Anthony Wayne; Jack Henry, Whitehouse Anthony Wayne; Zach Kolvey, Perrysburg; Ryan Pierson, Perrysburg; Alec Gaston, Perrysburg; Nigel Hayes, Tol. Whitmer; Alex Palicki, Tol. Whitmer; Konnor Chuba, Sylvania Southview; Troy Favorite, Tol. St. John’s; Nate Pearson, Tol. St. John’s; Aaron Gabriel, Marion Harding; Cody Ramsey, Findlay; Tyler Campbell, Findlay; Dillon Boes, Findlay; Alonzo Lucas, Tol. Whitmer; Zach Steinmetz, Tol. St. Johns; JaDarian Bowers, Sylvania Southview; Tyler Wolf, Fremont Ross; Trent Stout, Fremont Ross; Cody Kish, Oregon Clay; Bobby Hoffman, Oregon Clay. Ends–Chris Jones, Tol. Start, 5-10, 175, jr.; Corbin Frankhouse, Maumee, 6-1, 180, sr.; Chris Thomas, Ashland, 6-0, 183, sr. Linemen–Kyle Cameron, Tol. Central Cath., 6-2, 280, sr.; Chris Boles, Tol. Central Cath., 6-4, 340, sr.; Hunter Stanley, Tol. St. Francis, 6-3, 265, jr.; Chris Schwartz, Wapakoneta, 6-0, 235, jr.; Cody Hickey, Ashland, 6-2, 260, sr. Backs–Calebb Goings, Tol. Central Cath., 5-11, 190, sr.; Logan Erb, Wapakoneta, 6-0, 220, sr.; Cordney Strickland, Sandusky, 6-1, 185, sr. Quarterback–Marcus Fuller, Ashland, 6-0, 200, sr; . Kicker–Michael McGowan, Tol. St. Francis, 5-10, 150, jr.
Linemen–Kevin Williams, Holland Springfield, 6-2, 275, sr.; Delroy Chance, Tol. Central Cath., 6-1, 280, sr.; Jaron Green, Sandusky, 6-2, 256, sr.; A.J. Peters, Ashland, 6-2, 215, sr. Linebackers–Evan Karchner, Maumee, 5-11, 220, jr.; Derek Batt, Bowling Green, 6-0, 205, sr.; Phil Henderson, Sandusky, 5-10, 184, sr.; Mike Montana, Norwalk, 6-1, 168, sr. Backs–Matt Williams, Maumee, 6-2, 185, sr.; Cale Tabler, Wapakoneta, 5-10, 165, sr.; Jacob Dixon, Ashland, 6-0, 175, sr.; Jacob Supron, Mansfield Senior, 6-0, 160, sr. Punter–Mickey Grothause, Wapakoneta, 6-0, 170, sr. Offensive player of the year: Marcus Fuller, Ashland. Defensive player of the year: Kevin Williams, Holland Springfield. Lineman of the year: Kyle Cameron, Tol. Central Cath. Coaches of the year: Mike Franklin, Sandusky; Doug Frye, Wapakoneta. Ends–Trevor Ishee, Norwalk, 6-1, 185, sr.; A.J. 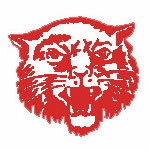 Beddow, Lexington, 5-11, 180, sr.; Brandon Nalley, Lexington, 5-10, 165, sr. Linemen–Robbie Peace, Tol. Bowsher, 6-1, 305, sr.; Chris Castillo, Tol. Central Cath., 6-2, 280, sr.; Maverick Liles, Wapakoneta, 6-0, 220, sr.; Nicky Tyner, Ashland, 6-4, 300, sr.; Ryan Gregory, Tol. Central Cath., 6-1, 250, sr. Backs–Dijon Tucker, Tol. Bowsher, 5-11, 190, sr.; Jake Wawrzyniak, Tol. St. Francis, 5-8, 170, sr.; Terrell Dorsey, Mansfield Senior, 5-11, 205, jr. Quarterback–Jake Schneider, Maumee, 5-10, 175, jr. Kicker–Jake Olman, Maumee, 6-3, 185, sr.
Linemen–Tre Mack, Tol. St. Francis, 6-0, 207, sr.; C.J. Marious, Tol. Central Cath., 6-3, 240, sr.; Addison Hirschfeld, Sylvania Northview, 5-11, 207, sr.; Trevor Raines, Wapakoneta, 5-10, 170, sr. Linebackers–Brian Lee, Tol. Start, 5-11, 215, jr.; Zach Ferenbaugh, 6-0, 185, sr.; Jaylen Guvevara, Sandusky, 6-1, 220, sr.; Chris Lester, Lexington, 6-1, 220, sr. Backs–Mike Bell, Tol. Central Cath., 6-1, 180, sr.; Danny Yodzis, 6-3, 205, sr.; Eric Daniels, Tol. Bowsher, 6-0, 180, sr.; Greg Stoll, Wapakoneta, 5-9, 160, sr. Punter–Patrick Wesolowski, Tol. Central Cath., 6-1, 175, jr.; Zach Bernhard, Ashland, 6-3, 200, jr.
Amir Edwards, Tol. Central Cath. ; John Perrin, Tol. Central Cath. ; Jim Johnston, Tol. Central Cath. ; Allen Cook, Tol. Bowsher; Marquise Moore, Tol. Bowsher; A.J. Carswell, Tol. Bowsher; Robbie Cole, Maumee; Leroy Alexander, Holland Springfield; Albert Phillips, Holland Springfield; Trey Smith, Wapakoneta; Connor Pickens, Wapakoneta; Jake Fetherolf, Norwalk; Willie Moore, Ashland; Terrance Deener, Mansfield Senior; Mitch Tridico, Mansfield Senior; Torry Bradshaw, Mansfield Senior; Jon Bessick, Mansfield Senior; Michael Bixler, Ashland; Jeff Keplinger, Ashland; Andrew Hunt, Lexington; Tyler Jackman, Lexington; Tanner Kearns, Lexington; Christian Brown, Lexington; Cody Thompson, Mansfield Madison; Alex Groff, Mansfield Madison; Jordan Lane, Maumee, Josh Stump, Tol. Central Cath. ; Dustin Crabtree, Norwalk; Derek Gallik, Lexington; Greg Galloway, Ashland; Dionte Rozier, Tol. Start; Royce Kantner, Wapakoneta. 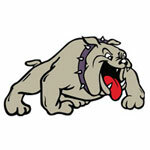 Ends–Kahl Knapke, Celina, 5-9, 170, sr.; Austin Etzler, Elida, 6-2, 180, jr.; Damond Powell, Tol. Rogers, 6-0, 165, sr. Linemen–Alex Hey, Bryan, 6-8, 275, sr.; Caden Chapman, Tiffin Columbian, 6-2, 230, sr.; Felix Fowler, Tol. Rogers, 6-7, 325, sr.; Brandon Eldridge, Shelby, 6-3, 290, sr.; Jake Grzymkowski, Oak Harbor, 6-2, 215, sr. Utility–Zach Strine, Shelby, 5-8, 165, sr. Backs–Devon Sonnenberg, Napoleon, 5-9, 190, sr.; Derrick Golliday, Tiffin Columbian, 5-11, 190, sr.; Jake Scott Oak Harbor, 5-10, 190, sr. Quarterback–Reggie McAdams, Elida, 6-5, 190, jr. Kicker–Jordan Colson, Clyde, 5-9, 170, sr.
Linemen–Brian Donovan, Celina, 6-0, 240, sr.; Jake Phillips, Bryan, 6-1, 210, sr.; Trevor Strickland, Clyde, 6-6, 235, sr.; Nick Wagoner, Shelby, 6-2, 265, sr. Linebackers–Nate Walker, Napoleon, 5-8, 168, jr.; Ross Harmon, Elida, 6-0, 240, sr.; Bennett Brown, Clyde, 5-9, 225, soph. ; Vince Kurtz, Tiffin Columbian, 6-1, 195, sr.; Denver Burks, Shelby, 6-0, 205, sr. Backs–Kevin Kraft, Elida, 6-0, 170, jr.; DerJuan Gambrell, Tol. Rogers, 6-2, 185, sr.; Jesse Hernandez, Tiffin Columbian, 5-10, 170, sr. Punter–Seth Rosenbauer, Lima Shawnee, 6-5, 230, jr. Offensive player of the year: Reggie McAdams, Elida. Defensive player of the year: Jesse Hernandez, Tiffin Columbian. Lineman of the year: Caden Chapman, Tiffin Columbian. Coach of the year: Jason Carpenter, Elida. Ends–Tyler Miller, Napoleon, 5-10, 170, jr.; Miles Foos, Bellevue, 6-1, 190, jr.; Mac Wilkerson, Clyde, 6-1. 190, sr. Linemen–Miguel Rodriguez, Bryan; Nate Sackinger, Elida, 5-9, 260, sr.; Alex Jess, Clyde, 6-2, 225, sr.; Luke Lyden, Bellevue, 6-4, 250, jr.; Carter Mullins, Tiffin Columbian, 6-0, 230, jr. Backs–Colin Blymer, Elida, 5-6, 165, jr.; Richard Hohler, Sandusky Perkins, 5-8, 180, sr.; Will Lance, Shelby, 6-0, 205, jr. Quarterback–Ryan Tittle, Tiffin Columbian, 6-0, 175, sr. Kicker–Nathan Jenkins, Elida. Linemen–Brandon Rinehart, Shelby, 6-1, 260, sr.; Alex McAdams, Elida, 6-3, 185, sr.; Michael Ebert, Sandusky Perkins, 6-6, 225, sr.; Donntae Franklin, Tol. Rogers, 6-0, 195, sr. Linebackers–Quentin Poling Elida, 6-1, 195, soph. ; Trey Runneals, Lima Shawnee, 5-10, 185, jr.; Jack Jacoby, Tiffin Columbian, 6-0, 195, soph. ; Brandon Hunt Tol. Rogers, 5-8, 185, sr.; Joey Mallernee, Oak Harbor, 6-2, 180, sr. Backs–Davey Burkett, Oak Harbor, 5-10, 165, sr.; Austin Bentz, Tiffin Columbian, 5-9, 175, sr.; Drew Gerken, Napoleon, 6-4, 181, sr.
Ross Huber, Napoleon; Derek Hug, Bryan; Brandon Maag, Elida; Kurt Hafeken, Elida; Ryan Bechtel, Lima Shawnee; Hunter Bosch, Lima Shawnee; Thomas Glick, Clyde; Gabe Gilbert, Clyde; Ryan Meyer, Clyde; Zach Yates, Shelby; Dylan Blevins, Shelby; Zach Priesman, Oak Harbor; Josh Warnke, Oak Harbor; Rikki Le, Elida; Tyler Thompson, Elida; Braden Billger, Celina; Jamill Williams, Lima Shawnee; Sam Altenbach, Lima Shawnee; Ian Dukehart, Elida; Mike Bodyke, Bellevue; Daniel Wood, Tiffin Columbian; Cam Cook, Willard; Kyle Fink, Celina. Ends–Max Morrison, Kenton, 6-1, 165, sr.; Andrew Tillman, Kenton, 5-10, 155, sr.; Jake Hillman, Huron, 5-11, 170, sr. Linemen– Matthew McKinley, Kenton, 6-4, 225, sr.; Ross Ellerbrock, Ottawa–Glandorf, 6-2, 200, sr.; Joey Bogdon, Huron, 6-2, 270, sr.; Matt Olson, Bellville Clear Fork, 6-1, 230, sr.; Luke Sutter, Genoa, 6-4, 250, sr. Backs– Aaron Smith, Lima Bath, 5-8, 225, jr., Jordan McCune, Bellville Clear Fork, 5-8, 210, sr. Kyle Nutter, Genoa, 5-10, 180, soph. Quarterback– Maty Mauk, Kenton, 6-2, 185, jr. Kicker–Tyler Pickard, Genoa, 5-11, 190, Jr.
Linemen–Austin Kutzli, Wauseon, 5-7, 167, sr.; Charlie Hinkle, Kenton, 6-2, 265, sr., Logan Slavinski, Bellville Clear Fork, 6-3, 215, sr.; Andrew Hayes, Genoa, 6-0, 230, sr. Linebackers–Jeff Siefker, Ottawa-Glandorf, 6-0, 280, Sr.; Bobby Handell, Kenton 6-1, 235, sr.; Kyle Matula, Milan Edison, 6-1, 225, Sr.; Seth Dufendock, Genoa, 6-0, 190, sr. Backs–Derek Truckor, Metamora Evergreen, 5-9, 160, sr.; Adam Hershberger, Ottawa-Glandorf, 6-3, 190, sr.; Caleb Doup, Bellville Clear Fork 5-10, 185, sr.; Garret Scott, Genoa, 6-1, 190, sr. Punter– Lucas Pennington, Metamora Evergreen, 6-4, 205, sr. Offensive player of the year: Maty Mauk, Kenton. Defensive player of the year: Jeff Seifker, Ottawa-Glandorf. Lineman of the year: Andrew Hayes, Genoa. Coach of the year: Dave Carroll, Bellville Clear Fork. Ends–Josh Graves, Port Clinton, 5-11, 170, sr.; Derek Allgier, Genoa, 5-11, 180, sr.; Matt Peck, Ottawa-Glandorf, 6-3, 210, sr.. Linemen– Eric Boger, Metamora Evergreen, 6-5, 235, Sr.; Adam Recker, Ottawa-Glandorf, 6-0, 205, sr.; Nate Long, Bellville Clear Fork, 6-0, 225, sr.; Bryan Eyerly, Ontario, 6-2, 280; Matt Keaton, Genoa, 6-4, 250, sr.. Backs–Drew Boatwright, Ontario, 6-0, 185, jr.; Britt Cox, Bucyrus, 5-10, 170, sr., Pernell Conner, Pemberville Eastwood, 5-10, 215, sr.. Quarterback– Nathan Kahle, Ottawa-Glandorf, 6-1, 182, sr.; Derek Colston, Port Clinton, 6-2, 180, sr. Kicker–Taylor Depew, Pemberville Eastwood, 5-9, 157, sr.
Linemen–Isaac Jeffers, Kenton 6-4, 235, jr.; Matt King, Huron, 5-10, 170, sr.; Isaiah Finley, Bellville Clear Fork, 5-10, 200, sr.; Casey Wojciechowski, Genoa, 5-10, 190, sr. Linebackers– T.J. Thieken, Metamora Evergreen, 6-3, 190, sr.; Jordan Romick, Huron, 6-0, 205 sr.; Holdan Oyster, Bellville Clear Fork, 5-10, 190, jr.; Zac Bartman, Ontario, 6-0, 195, jr. Backs–Corey Clifton, Van Wert, 6-3, 185, sr.; Kyle Schlombohm, Pemberville Eastwood, 5-11, 152, jr.; Steve Wingo, Port Clinton, 6-2, 165, jr.; Bryce Fackler, Kenton, 6-4, 210, jr. Punter– Jeff Rutherford, Pemberville Eastwood 6-0, 214, sr.
Trevon Tucker, Fostoria; Dustin Howell, Kenton; Clint Brunow, Kenton; Rory Kaip, Huron; Brandon Kuhlman, Ottawa-Glandorf; Sean Kelly, Kenton; Jesse Glass, Paulding; Jesse Finney, Wauseon; Dan Hilton, Metamora Evergreen; Gabe King, Kenton; Cody Comstock, Kenton; Derek Rieman, Ottawa-Glandof; Dylan Ellerbrock, Ottawa-Glandorf; Grant Recker, Ottawa-Glandorf; Craig Rieman, Ottawa-Glandorf; Jack Carter, Paulding; Dylan Welch, Paulding, Drey Gamble, Paulding; Austin Reichert, Van Wert; Brian Bollenbacher, Huron; Troy Delamatre, Huron; Dylan Oswalt, Bellville Clear Fork; Sean Weiss, Bellville Clear Fork; Logan Dernbach, Bellville Clear Fork; Jordan Beans, Bellville Clear Fork; Christian Ross, Bucyrus; Kurt McKee, Millbury Lake; Ian Fleetwood, Tontogany Otsego; Donny Sites, Van Wert; Diego Torres-Moreno, Rossford; Andrew Nicholls, Galion; Cory Hirschy, Van Wert; Tom Leahey, Swanton; Dion Bellamy, Bellville Clear Fork; Dan Painter, Lima Bath; Chad McCray, Galion; Connor Massillo, Van Wert; Trent Seiler, Wauseon; Kaleb Raymond, Upper Sandusky; D.J. Recknagel, Rossford; Terry Hensley, Galion; Andrew McFarland, Rossford; Chase Beam, Pemberville Eastwood; Stephen Pastor, Port Clinton; Sean Kelly, Kenton; Nathan Pennington, Millbury Lake. Ends–Reese Klenke, Coldwater, 6-4, 195, sr.; Cory Siefring, St. Henry, 6-3, 205, sr.; Willy Flanary, Sherwood Fairview; 5-8, 170, sr.; Desmond Sleigh, Archbold, 5-11, 160, sr. Linemen–Austin Little, Defiance Tinora, 5-11, 205, jr.; Anthony Kimbrough, Lima Central Cath., 6-2, 242, sr.; Jake Fannin, Collins Western Reserve, 6-3, 225, sr.; Josh Almanza, Hamler Patrick Henry, 6-0, 205, sr.; Ben Miller, Archbold, 6-3, 265, sr.; Clint Endicott, Ashland Crestview, 6-2, 285, sr. Backs–Kipp McCann, Defiance Tinora, 6-0, 185, soph. ; Zach Bermejo, Northwood, 5-10, 179, sr.; Blake Buckhannon, Collins Western Reserve, 5-10, 185, jr.; Mason Minnich, Ashland Crestview, 5-8, 175, jr. Utility–Bubba Kreig, Lima Central Cath., 6-0, 155, sr. Quarterback–Garrett Morton, Archbold 6-3, 190, sr. Kicker–Alex Moser, Defiance Tinora, 5-11, 165, sr.
Linemen– Marcus Moser, Defiance Tinora, 5-10, 240, sr.; Kody Richardson, Delphos Jefferson, 6-3, 210, sr.; Sam Huffman, Lima Central Cath., 6-1, 155, soph. ; Ethan Patrick, Collins Western Reserve, 6-2, 210, sr.; Xavier Dye, Hamler Patrick Henry, 5-10, 190, sr. Linebackers–Garrick Montgomery, Ashland Crestview, 6-0, 185, jr.; Aaron Rammel, Coldwater, 6-0, 195, sr.; Alex Batt, Defiance Tinora, 6-3, 220, sr.; Bryan Hefflinger, Liberty Center, 6-1, 210, jr. Backs–Devin Jones, Castalia Margaretta, 6-3, 195, sr.; Dylan Schwieterman, St. Henry, 5-11, 185, sr.; Landon Drewes, Defiance Tinora, 6-0, 185, sr.; Noah Keefer, Archbold, 5-11, 165, sr. Punter–Tyler OConnor, Lima Central Cath., 6-0, 160, jr. Offensive player of the year: Garrett Morton, Archbold. Defensive player of the year: Xavier Dye, Hamler Patrick Henry. Linemen of the year: Marcus Moser, Defiance Tinora; Anthony Kimbrough, Lima Central Cath. Coach of the year: Mike Stoll, Collins Western Reserve. Ends–Steven Rahn, Mt. Blanchard Riverdale, 6-2, 185, sr.; Kyle Bergstedt, Hamler Patrick Henry, 5-8, 155, jr.; T.J. Gerken, Archbold, 5-10, 155, jr.; Josh Beverly, Delta, 6-1, 185, sr. Lineman–Gunner Shock, Hicksville, 5-9, 200, jr.; Ethan Gerken, Defiance Tinora, 6-2, 195, sr.; Max Brodbeck, Lima Central Cath., 6-2, 254, sr.; Jacob Patterson, Findlay Liberty-Benton, 6-1, 230, sr.; John Segura, Northwood, 6-1, 214, soph. ; Justin Gibson, N. Robinson Colonel Crawford, 5-10, 250. Backs–Corey Yontz, Castalia Margaretta, 5-10, 195, sr.; Eric Puehler, Delta, 6-1, 200, sr.; Lucas Rosebrook, Hamler Patrick Henry, 5-9, 175, jr.; Brandon Robinson, N. Robinson Colonel Crawford, 5-7, 165, sr. Utility–Darren Johnson, Collins Western Reserve, 6-3, 160, sr. Quarterback–Brady Weber, Mt. Blanchard Riverdale, 6-4, 235, sr.; Jack Waldock, Bloomdale Elmwood, 6-0, 195, sr. Kicker–Aaron Bontrager, Archbold, 5-11, 165, sr.
Linemen–Jeff Schliesser, Defiance Tinora, 6-3, 180, sr.; Kyle Post, Coldwater, 6-2, 210, sr.; David Gremling, Lima Central Cath., 6-2, 195, jr.; Jake Carrizales, Hamler Patrick Henry, 6-1, 220, soph. ; Hayden Stamm, Archbold, 6-0, 180, jr. Linebackers–Seth Klepper, Hicksville; 6-0, 210, jr.; Jeffrey Timbrock, Sherwood Fairview, 6-0, 190, soph. ; Nick Whitmore, Northwood, 6-1, 215, soph. ; Clay Giesige, Archbold, 5-11, 175, sr. Backs–Rufus Johnson, Lima Central Cath., 5-11, 161, sr.; Zac Cramer, Findlay Liberty-Benton, 5-9, 150, sr.; John Romstadt, Northwood, 5-8, 143, sr.; Alex Wilhelm, Hamler Patrick Henry, 5-9, 170, jr. Punter–Kyle Bergman, Coldwater, 6-0, 160, jr.
Jordan Chapin, Coldwater; Austin Bruns, Coldwater; Hank Bevington, Rockford Parkway; Kyle Stahl, St. Henry; Marshall Gerschutz, Defiance Tinora; Pete Sinn, Haviland Wayne Trace; Gabe Schwaiger, Lima Central Cath. ; Jonathan Washington, Lima Central Cath. ; Taylor Royster, Lima Central Cath. ; Demitrius Williams, Lafayette Allen East; Jordan Vorst, Delphos Jefferson; Ben Moser, Bluffton; Rick Duffman, Mt. Blanchard Riverdale; Seth Davis, Findlay Liberty-Benton; Jed Miller, Findlay Liberty-Benton; Leighton Chambers, Liberty Center; Jeremy Schmitz, Delta; Isaac Rosales, Archbold; Mitchell Schulze, Hamler Patrick Henry; CJ Branham, Ashland Crestview; Joe Whisler, Ashland Crestview; Casey Hout, North Robinson Colonel Crawford; Jarrett Smith, Kansas Lakota; Jay Hannah, Bloomdale Elmwood; Jake Baker, Bloomdale Elmwood; Corey Stump, Lima Central Cath. ; Logan Greiner, Kansas Lakota; T.J. Waldock, Bloomdale Elmwood; Grant Weirich, Elmore Woodmore; Jon Steiger, Lima Central Cath. ; David Bogart, Northwood; Jason Ford, Rockford Parkway; Jeremy Gillen, Liberty Center; Dylan Horner, Haviland Wayne Trace; Brady Vaught, Findlay Liberty-Benton; Troy Otten, Coldwater; Brock Rieman, Defiance Tinora; Clayton Zaslavsky, Findlay Liberty-Benton; Justin Rohrs, Northwood; Sam Spring, Castalia Margaretta; Zach Picou, N. Robinson Colonel Crawford; Casey Rex, Lafayette Allen East; Mike Prothero, Northwood; Nate Wacek, Bloomdale Elmwood; Tyler Mack, Northwood; Justin Joseph, Liberty Center; Bryan Maldinger, Ashland Crestview; Keagan Hartsock, Montpelier. Ends–Taylor Hanes, McComb, 6-1, 175, sr.; Shaile Chamberlain, Antwerp, 6-4, 189, sr.; Greg Schwieterman, Marion Local, 6-0, 155, sr.; Alex Weber, Ada, 6-2, 200, sr.; Zach Brumbaugh, Tol. Christian, 6-1, 159, sr. Linemen–Austin Vogt, Delphos St. Johns, 6-4, 270, sr.; Robert Guyton, Ada, 6-3, 270, sr.; Jason Reichert, Marion Local, 6-2, 220, sr.; T.J. Griffith, McComb, 6-1, 195, sr.; Robert Gilliland, Sycamore Mohawk, 6-1, 250, sr.; Trent Rowland, Bucyrus Wynford, 6-1, 210, sr. Backs–Evan Burgei, Delphos St. John’s, 5-11, 180, sr.; Cam Brown, Arlington, 6-0, 205, sr.; Shannon Geren, Edon, 5-8, 180, jr.; Caleb Coil, Sycamore Mohawk, 6-0, 170, sr . Utility–Derek Mangas, Leipsic, 5-9, 165, sr. Quarterback–Andrew Dee, McComb, 5-11, 195, sr.; Konnor Baker, Ada, 6-3, 190, jr. Kicker–Eric Ziems, Tol. Christian, 5-10, 155, sr.
Linemen–Derek Klaus, Delphos St. John’s, 6-2, 205, sr.; Tanner Craig, Ada, 6-0, 210, sr.; Tre Lopez, Leipsic, 5-11, 185, sr.; Jeremy Krill, Monroeville, 6-3, 235, sr.; Nathan Anese, Sycamore Mohawk, 5-9, 215, sr.; Bryce Collins, Buckeye Central, 6-1, 275, sr. Linebackers–Chris Pohlman, Delphos St. John’s, 6-3, 240, sr.; Aaron Weyer, Ada, 6-1, 225, sr.; Brandon Arling, Marion Local, 6-0, 190, sr.; Mitchell Gross, Norwalk St. Paul, 6-2, 195, sr.; Jonathon Morter, Sycamore Mohawk, 6-0, 205, jr.; Nate Long, Fremont St. Joseph, 6-0, 190, sr. Backs–Mason Roth, McComb, 5-11, 150, sr.; Troy Stevenson, Pandora-Gilboa, 5-9, 161, sr.; Lucas Kennedy, Lakeside Danbury, 5-11, 185, jr.; Craig Parker, Sycamore Mohawk, 6-0, 155, sr.; Sam Shafer, Buckeye Central, 6-3, 185, sr. Punter–Ty Jolliff, Ada, 5-11, 180, sr. Offensive player of the year: Andrew Dee, McComb. Defensive player of the year: Chris Pohlman, Delphos St. John’s. Linemen of the year: Austin Vogt, Delphos St. John’s; Robert Gilliland, Sycamore Mohawk. Coach of the year: Jason Ratliff, Buckeye Central. Ends–Tyler Fenstermaker, Pandora-Gilboa, 6-0, 162, sr.; Colby Meuleman, Columbus Grove, 6-3, 175, sr.; Logan Sendelbach, Bascom Hopewell-Loudon, 6-3, 155, jr.; Nate Glowaski, Bucyrus Wynford, 6-2, 190, sr.; Brant Reardon, Fremont St. Joseph, 6-3, 160, sr. Linemen–Joey Grubenhoff, Delphos St. John’s, 6-2, 220, sr.; Alex Recker, Delphos St. John’s, 6-3, 240, sr.; Spencer Wolfe, Columbus Grove, 6-0, 235, sr.; Sam Schroeder, Leipsic, 6-0, 215, sr.; Josh Sonnenberger, Edon, 6-1, 225, sr.; Travis Baird, Sycamore Mohawk, 5-11, 190, jr. Backs–Kellen Decker, Ada, 5-10, 170, soph. ; Niles Keller, Marion Local, 6-0, 185, sr.; Alex Finney, Buckeye Central, 5-11, 205, sr.; Zak Bowman, Fremont St. Joseph, 6-0, 185, sr. Utility–Auston Hood, Buckeye Central, 6-0, 180, sr. Quarterback–Nick Rightnowar, Tol. Christian, 6-0, 163, sr.; Zach Chatlain, Bucyrus Wynford, 6-4, 195, jr. Kicker–Devin Mangas, Leipsic, 5-11, 153, soph. Linemen–Cody Brinkman, Delphos St. John’s, 5-10, 186, sr.; Tejay Boes, Pandora-Gilboa, 6-5, 267, sr.; Brian Walker, McComb, 6-1, 170, sr.; Joey Brown, Edon, 6-3, 203, sr.; Nate Heinlen, Bucyrus Wynford, 6-5, 265, sr.; Jeremy Durbin, Fremont St. Joseph, 6-3, 240, sr. Linebackers–Christopher Beaschler, Ada, 6-0, 185, jr.; Dylan Dancer, Delphos St. John’s, 6-1, 195, sr.; Wyatt Herman, Edgerton, 6-0, 205, sr.; Austin Inbody, McComb, 5-7, 150, sr.; Adam Rosendale, Cory-Rawson, 6-1, 180, sr.; Justin Schutz, Pandora-Gilboa, 6-1, 191, sr. Backs–Ryan Densel, Delphos St. John’s, 5-10, 179, jr.; Kyle Parker, Sycamore Mohawk, 6-0, 150, sr.; Seth Rall, Bucyrus Wynford, 6-2, 190, jr.; Matt Mehalko. Fremont St. Joseph, 6-0, 175, sr. Punter–Justin Jones, Monroeville, 5-10, 165, sr.
Adam Kasier, Minster; Ryan Mescher, Marion Local; Ben Heitbrink, Minster; Chase Paxson, Minster; John Brown, Antwerp; Jacob Adams, Edgerton; Jimmy Radabaugh, Edgerton; Caleb Stark, Edgerton; Ty Bergfeld, Delphos St. John’s; Matt Holden, Convoy Crestview; Greg Martin, Columbus Grove; Devin Verhoff, Columbus Grove; Maclain Dyer, Upper Scioto Valley; Trey Williams, Upper Scioto Valley; Colby Salyer, Upper Scioto Valley; Tanner Hunt, Lima Perry; Danny Sudlow, McComb; Garrett Scling, Arcadia; Trevor Coleman, Arcadia; Jordan Strock, Carey; Steve Vaughn, Carey; Dustin Massie, Carey; Brian Mohr, Arlington; Cody Glick, Arlington; Logan Eaton, Van Buren; Cody Thacker, Rawson Cory-Rawson; Jake Ellerbrock, Leipsic; Trevor Schroeder, Leipsic; Dillon Kleisch, Vanlue; Jacob Heitmeyer, Leipsic; Logan Price, Dola Hardin Northern; Parker Emahiser, North Baltimore; Jerry Brown, McComb; Trevor Schroeder, Leipsic; Sam Ivan, Tol. Christian; Hunter Stephens, Lakeside Danbury; Skyler Old, Monroeville; Ben Ringenberg, Monroeville; Ben Nielsen, Tiffin Calvert; Nathan Mathias, Tiffin Calvert; Jerad Butler, Bucyrus Wynford; Justin Herrnstein, Buckeye Central; Cal Thompson, Lucas; Russell Robinson, Lucas; Dan McQuillan, Lucas; Kody Green, Crestline; Luke Bruce, Crestline; Jared Walker, Attica Seneca East; Josh Reed, Attica Seneca East; Cody Gibson, Tol. Christian; Quinton Nofziger, West Unity Hilltop; Nathan Stark, Edgerton; David Westmeyer, Tol. Christian; Michael Donaldson, Edon; Brandon Ritzler, Tiffin Calvert; Derek Fry, Tiffin Calvert; Jamie Schafer, Attica Seneca East; Austin Harrison, Bascom Hopewell-Loudon; Grant Lochtefeld, Marion Local; Trent Blair, Carey; A.J. Longthorne, Tol. Ottawa Hills; Jacob Carpenter, West Unity Hilltop; Tyler Johnson, Attica Seneca East; Robert Wolpert, Attica Seneca East; Paul Wendt, Fremont St. Joseph; Graham Miller, Tol. Christian; Adam Smith, Norwalk St. Paul; Liam Nadler, Leipsic; Brody Flegal, Edgerton; Jordan Leininger, Delphos St. John’s; Jordan Travis, Columbus Grove; Ryan Stower, Monroeville ; Tyler Tyree, Bascom Hopewell-Loudon; Tyler Erwin, Buckeye Central; Mitch Bergman, Marion Local; Thayne Recker, Arlington; Anthony Dodd, Tol. Christian; Isaac Livengood, Norwalk St. Paul; Mike Bossetti, Fremont St. Joseph; Brandon Orians, Carey; Jake Kline, Sycamore Mohawk; Lucas Schank, Attica Seneca East; Cory Long, Monroeville; Nathan Ritzler, Tiffin Calvert; Drew Ashcroft, Van Buren; Aaron Vagedes, Fort Recovery. These young men and women all earned Varsity letters, and had 3.0 or better grade averages for the fall term. State Football Regional Championship Playoff Locations Announced.